Daniel 6:4 "Then the commissioners and satraps began trying to find a ground of accusation against Daniel in regard to government affairs; but they could find no ground of accusation or evidence of corruption, inasmuch as he was faithful, and no negligence or corruption was to be found in him." Have you already experienced frustration this week? 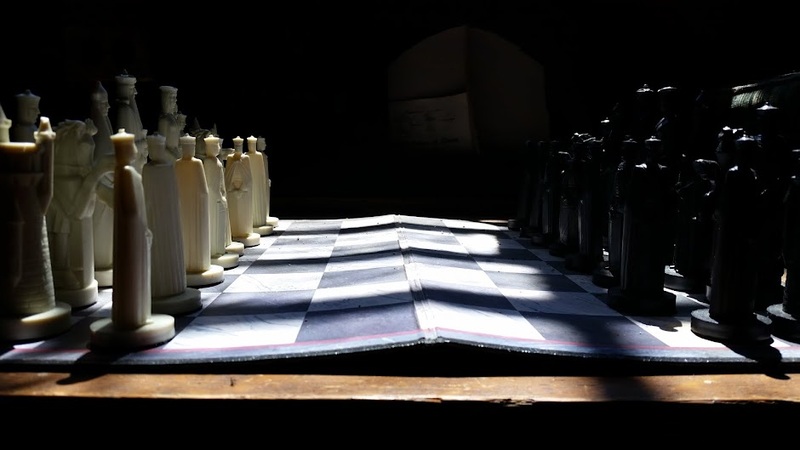 What happens when you and I are suddenly faced with a stressful situation? What is our knee-jerk response? The realm of our responses to life's difficulties tells us how much we are trusting God. What tends to be the default response of you and me. Panic? We try-to-fix-it? Run-to-others? Isn’t it interesting that we often try everything first before praying about our situation? One of the major themes of walking with God is that of learning to wait on Him. Isaiah 40:31 states - "Yet those who wait for the Lord will gain new strength; They will mount up with wings like eagles, they will run and not get tired, they will walk and not become weary." 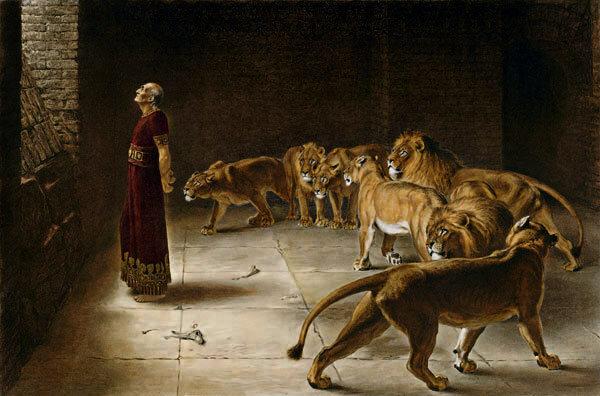 When we read the account of Daniel and the lion's den, we see the remarkable resolve of Daniel to wait on God. In today's post we aim to glean some principles of what it means to wait on God. What does waiting on God look like? Let's note some principles. Charles Stanley one time noted that the only kind of the faith that is reliable faith is tested faith. Whenever we come to Daniel 6, we find Daniel in his mid-eighties. For seventy years he occupied Babylon. Daniel's career as God's prophet began when he was but fifteen. Whenever King Nebuchadnezzar and his forces took the Jews away into Babylon, Daniel was among them. Daniel was tempted with a different food, culture and religion. Despite the Babylonian's best attempts, Daniel never abandoned his faith in God. It was then after nearly seventy years that the Babylonians were taken over by the Persians. The kingdom changed hands, yet Daniel's faith never wavered. Though the thrones of men change, God's Sovereign rule never changes. Through seven decades of living in not one, but two pagan cultures - Daniel remained faithful. I find this to be the purpose of times of waiting on God. When I'm under a deadline or am caught between a rock and a hard place - it is in those moments I find myself seeking God. At the time I may not completely understand the presence of trials in my life. The only thing I can say is that in the aftermath of having to wait on God, I find the resolve to remain faithful ever strengthened. Whenever you and I have to wait on God, what is the one thing we find to be the case - sharpening of focus. When all our activities come to a stop - we are brought to a point of decision. Either I will get better or bitter. Either I will focus on the seeming lack of resources, funds or forward movement in my life or I will focus on God. Whenever we are in a holding pattern, we will focus on something. Think about Daniel. There he was, a man in his mid-eighties. He had been praying three times a day for seven decades. The word comes to him that unless he gives into the demands of the king - his life will be on the line. What does he do? He goes to God in prayer. He does not alter his routine. Daniel had cultivated such a focus on God that nothing could stop him - no matter what. Waiting on God teaches us to retain our focus on God. Do you know one of the most remarkable features of this account of Daniel and the lion's den? It is what is missing after we read of Daniel going to God in prayer. From the time Daniel is taken away and thrown into the lion's den until the next day when the king yells down to see whether or not he is still alive - we find no words issuing from Daniel's lips. A man called by God to deal in the words of God was silent. Daniel restrained himself by not complaining, by not panicking nor accosting his opponents. It was not easy. How do we make sense of this? I find here a foreshadowing of the Lord Jesus Christ. Daniel remained silent - like a sheep led to slaughter. Isaiah 53:7 predicts what would be Jesus' journey to the cross - "He was oppressed and He was afflicted, Yet He did not open His mouth; Like a lamb that is led to slaughter, And like a sheep that is silent before its shearers, So He did not open His mouth." Peter quotes this same text in Acts 8:32-33. Daniel is foreshadowing a Christ-like attitude. Whenever you and I are placed in a holding pattern - are we inclined to hold our tongues or guard ourselves from cursing God, the circumstances or exercising ourselves in self-abasement? We are told to "have this same attitude which was found in Christ Jesus (Philippians 2:1-4). Daniel models here incredible restraint. He knew who was truly in charge - God. Who has also delivered Daniel from the power of the lions.” 28 So this Daniel enjoyed success in the reign of Darius and in the reign of Cyrus the Persian. Daniel enjoyed success. What is success? Certainly Daniel retained a place of honor in the king's court. Undoubtedly Daniel was finally in peace and safety. As wonderful as those things can be - they are but circumstantial in nature. Daniel's success in the truest sense did not lay in his occupying fine positions nor wearing fine clothing but in faithfulness. The test was passed. Daniel had waited on his God. Hebrews 11:33 notes - "who by faith conquered kingdoms, performed acts of righteousness, obtained promises, shut the mouths of lions." These principles gives us a good picture of the importance of waiting on God.